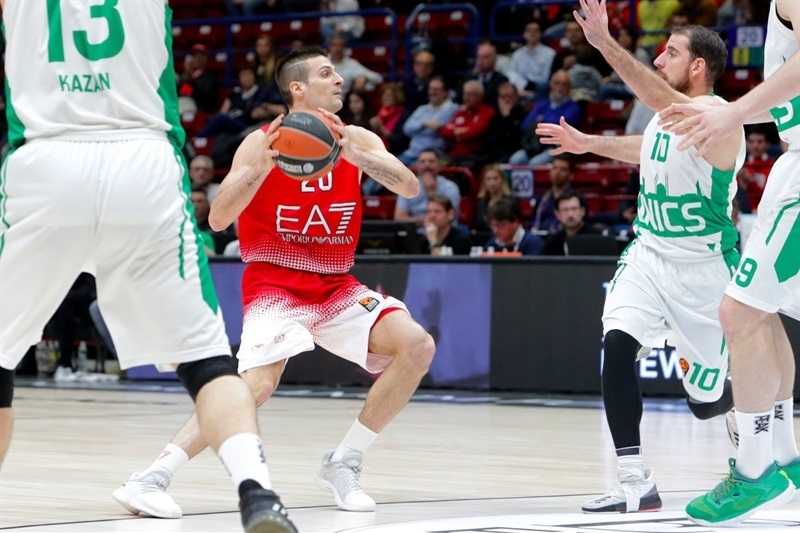 In a clash of two teams trying to finish their respective Turkish Airlines EuroLeague seasons on a winning note, Unics Kazan used big second half to crush EA7 Emporio Armani Milan 68-91 on Friday night at Mediolanum Forum. 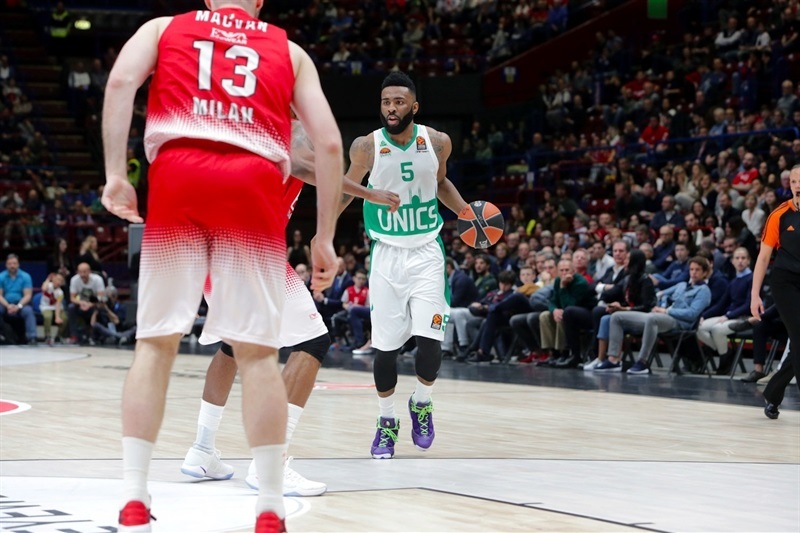 Unics snapped its 12 game losing streak to finish the season with an 8-22 record, ahead of Milan, which has the same record, but Unics swept their head-to-head series. 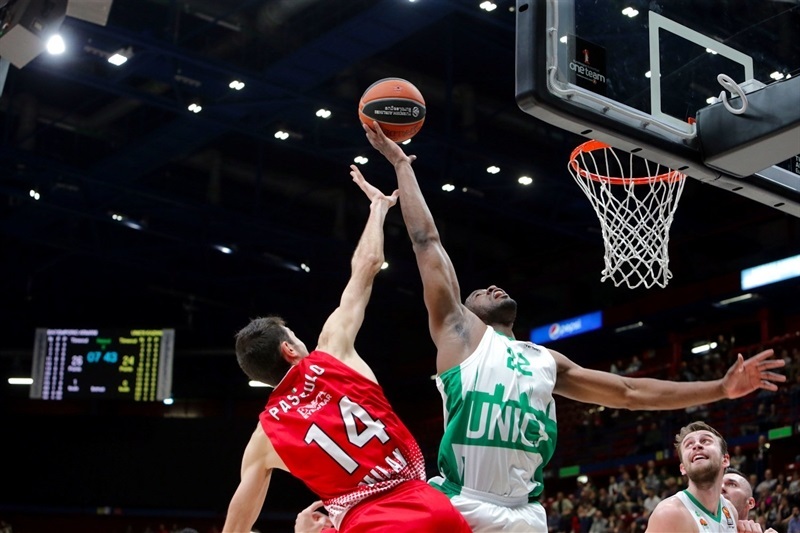 Latavious Williams had a career-night with 20 points on 8-of-9 shooting and 12 rebounds to lead Unics. 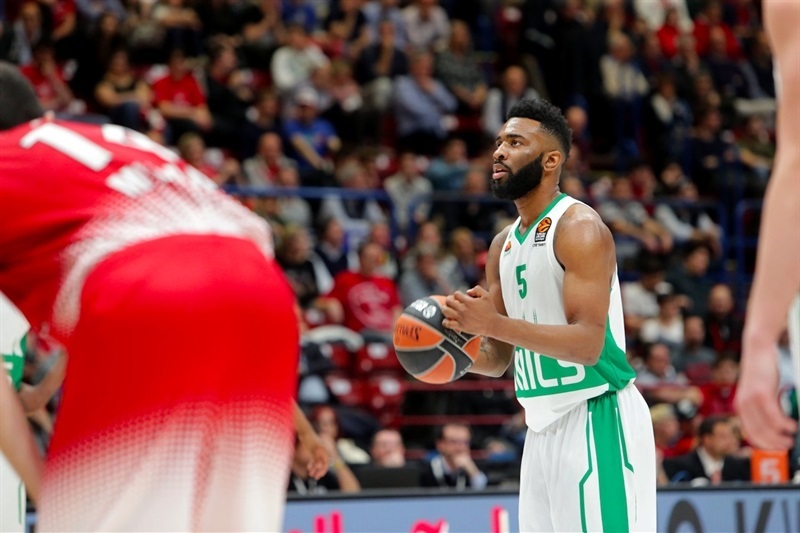 Keith Langford, who became the first player to reach 600 points in a season, finished with 13 points, Quino Colom collected 12 points, 6 assists and 5 rebounds, while Coty Clarke scored 11 in victory. 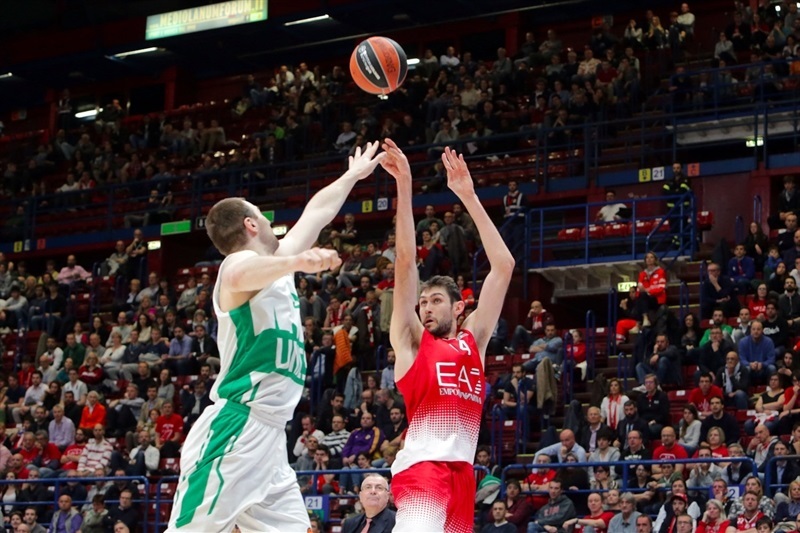 David Pascolo had 19 points and Rakim Sanders added 14 for Milan. The teams traded blows from the get-go. Colom scored twice from close range, including a three-point play, but Krunoslav Simon had 6 points that helped the hosts open a 15-11 lead. 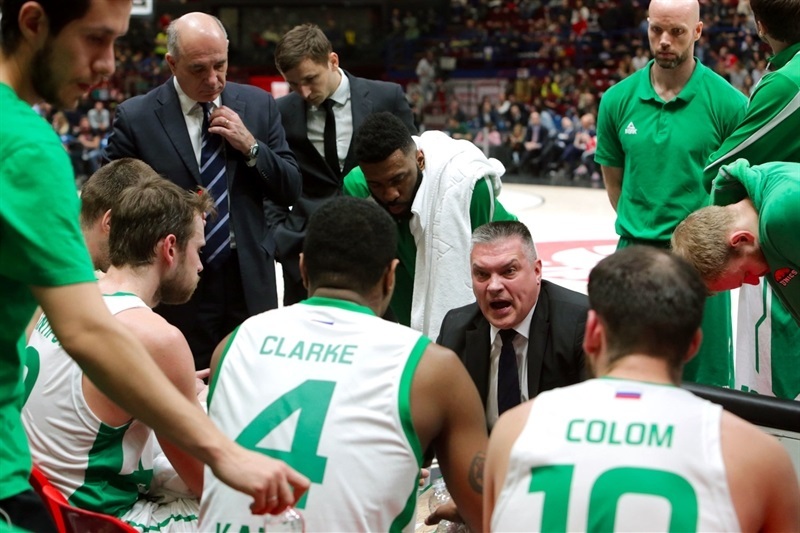 Langford scored a pair of free throws to reach 600 points for the season, and back-to-back threes from Pavel Antipov and Clarke had Unics up 21-22 after 10 minutes. Sanders scored inside and outside for Milan to regain the lead, and a pair of baskets from Pascolo put Milan in front 34-28. 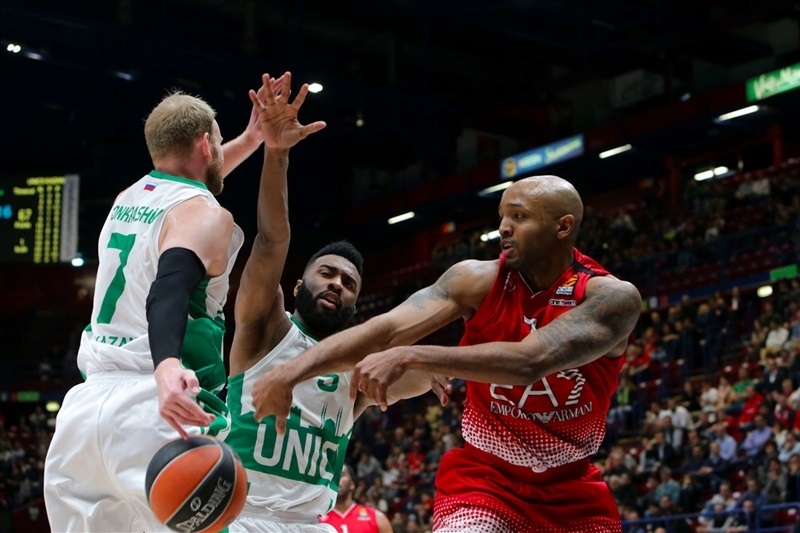 Ricky Hickman got a shooter’s roll on a three-pointer, before Marko Banic and Artsiom Parakhouski helped close within 39-36 at halftime. 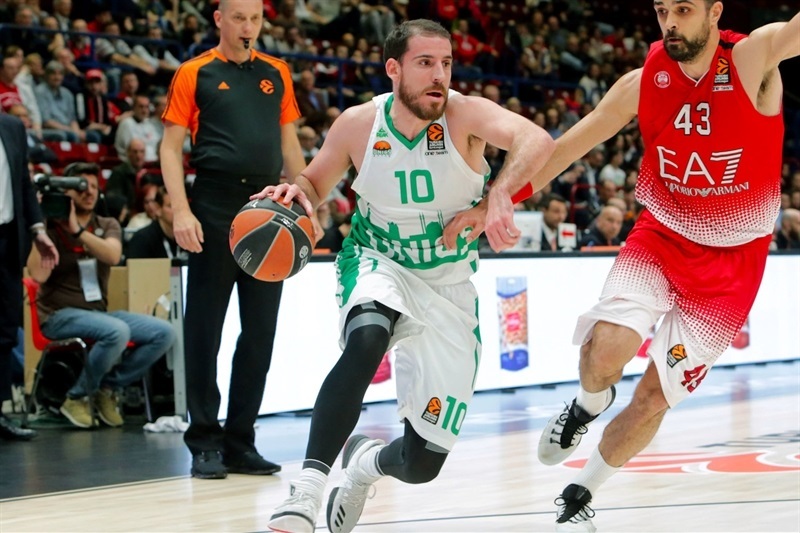 The visitors, however, scored the first 9 points in the third and a pair of triples from Vadim Panin and baskets from Langford and Banic made it 41-50. Sanders hit a three for the hosts, but a 3-13 run sparked by Banic and Colom, and capped with another three from Antipov, opened 47-63 margin late in the third quarter. The visitors entered the final quarter with a 16-point lead, and 3 free throws by Colom with 5:44 to go took the advantage to 55-76. 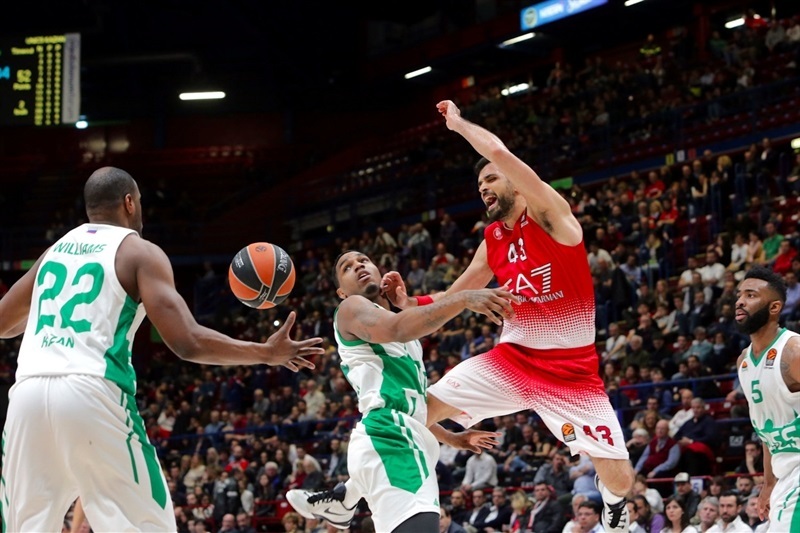 Unics cruised the rest of the way, leading by as many as 25 points before the final buzzer. "It's a game we must remember to avoid the same mistakes in the future. The last few weeks we have been too short-handed, especially with the perimeter players. Tonight we got back Sanders and he responded. We got back Simon and he didn't. It is predictable. What happened to Abass was proof of our difficulties. 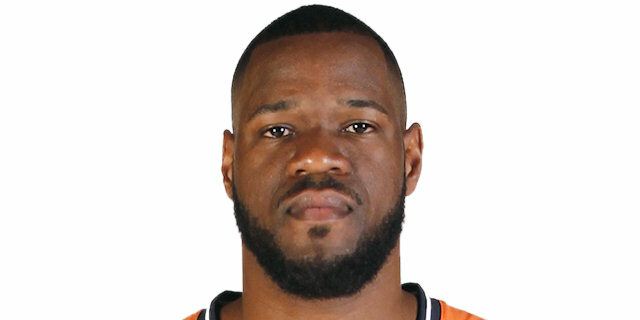 He's the youngest, he's the most athletic and still he fouled out in less than nine minutes. He's been playing 35 minutes every game lately. We ran out of gas." 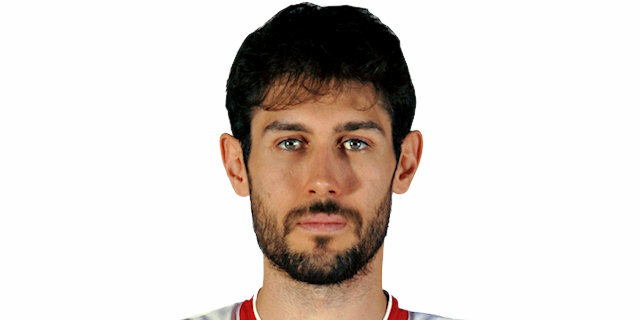 "For us it was a very important game because it was our last EuroLeague game. 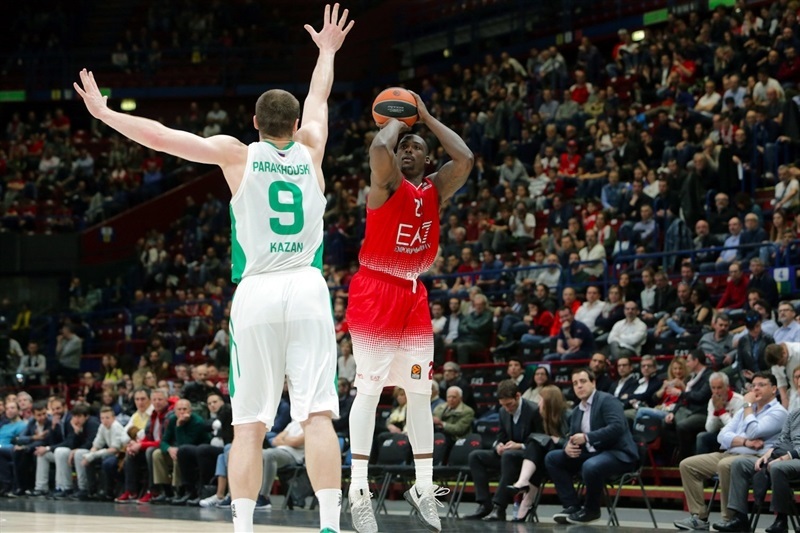 Maybe it was not a good season for either of these two teams, but it was a game to avoid last position in the standings, and for our confidence for the VTB League playoffs. Now, we got all our guys back from injury. The last three games we improved our defense, we improved our team chemistry and analyzed our mistakes, and played much better than before. We improved in rebounds in third quarter, we stopped their transition. And I told the guys at halftime that if we don’t control rebounds, we won’t have a chance. And offensively we showed more patience, shared the ball, and when they double-teamed Langford, we found open shooters on the weak side. That was the key tonight. This season was a big experience, with a new format, and we were happy to be part of it. We have to analyze our mistakes, and we hope to be a part of it next year or in the near future. 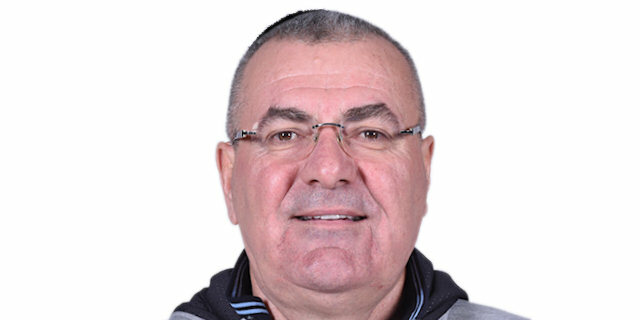 It was a challenge and we want to thank the EuroLeague, we are proud to be a part of the family." "It's been a disappointment, so it's not time to talk about my game because the team is the only thing that matters and we didn't do well enough." "My teammates just passed the ball. We got easy layups, and we made easy jumpers, and the whole paint was open. That’s how we got the win tonight. We came out, we played defense, we got stops. The guards made shots, and the pick-and-roll was open, so everybody did their job today."